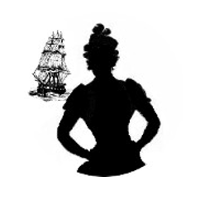 1 Daughters of the American Revolution Genealogical Research System, Ancestor #A059120. 2 Find A Grave, (accessed 03/22/2017). 3 Howe, Rev. Paul Sturtevant, Mayflower Pilgrim Descendants in Cape May County, New Jersey: Memorial of the Three Hundredth Anniversary of the . . ., Cape May, New Jersey: Albert R. Hand, Publisher (1921), 205, 250, Google Books (Digital Library).